That was good enough. ABC put Sierra on the radio, and he spoke about what he had heard. The next morning, when hundreds of reporters from networks all over the world had arrived, Sierra learned what he’d heard the night before were the bodies of the dead soldiers being flown onto the island from the ship. “Somehow, with no experience, I’d actually broken national news,” he says. Sierra thought he’d be in Chicago for one or two years; he’s now been there 22, during which time he earned a bachelor’s degree in philosophy with a minor in Latin-American studies from Northwestern University, a master’s degree in business administration from Kellogg School of Management, and worked several jobs in the private and public sector. His first job after WGN News—where he worked for eight years—was as manager of public relations at Peoples Gas, where the “progression to corporate communications … seemed natural,” he says. The second was as deputy press secretary for then-Mayor Richard M. Daley, which Sierra says was the second pivotal moment of his career. 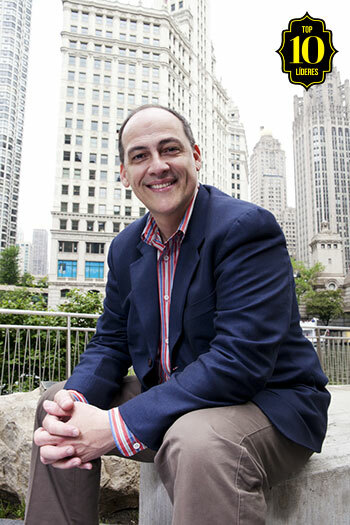 Sierra stayed with the Chicago City Hall office for two years, after which he returned to Peoples Gas as vice president of communications, a multifaceted position that allowed him to merge his skills, working in marketing, public relations, corporate giving, and government affairs. 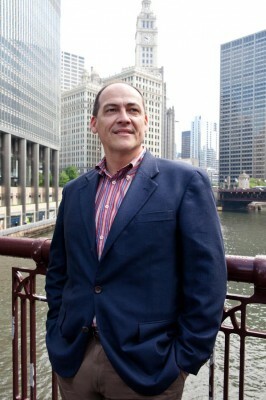 In 2010, two years after the company merged, Sierra moved to Johnson Publishing, where he created the structure for its communications department. A year later, Chicago Mayor Rahm Emanuel appointed Sierra to a volunteer position on the board of the Chicago Public School system, and he took some time to think about what he wanted to do next professionally. “I have four sons who attended public school, and through them, I saw how difficult it is for children who aren’t as fortunate as I believe mine were—children who don’t have two parents who graduated from college, who work and get them in the right schools, who hound them about their homework,” he says. That got him thinking about making a difference and, ultimately, drew him to a position in which he felt he could. Check out all of Hispanic Executive‘s 2013 Top 10 Líderes here.